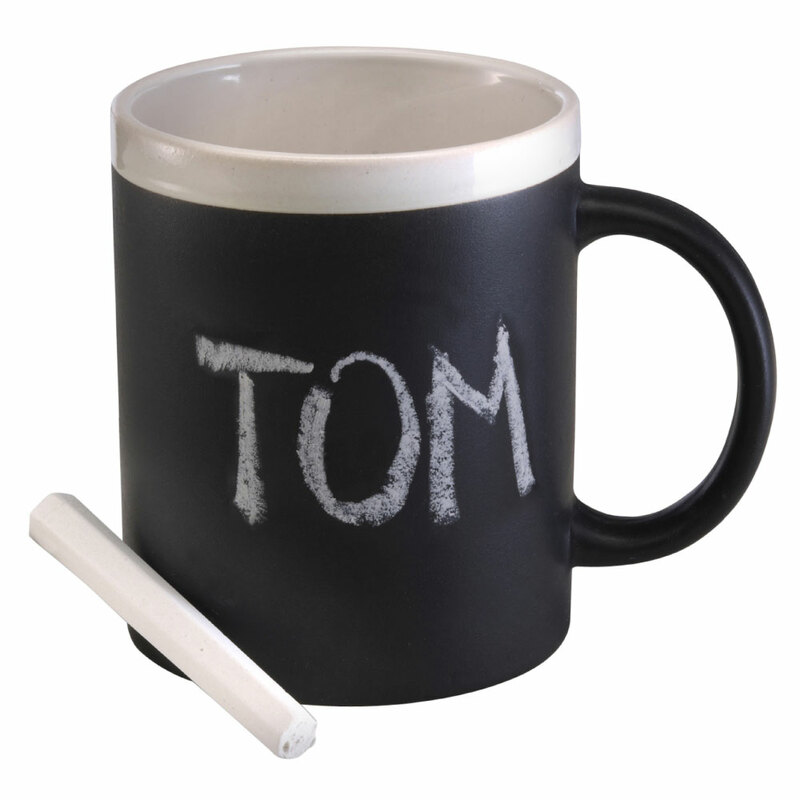 A 300mL stoneware mug that can be written on with chalk! Get creative with the help of these fun customisable chalkboard mugs! They feature a chalkboard like surface that can be drawn or written on with chalk alongside your printed logo! Choose from 3 great colours, each mug includes one piece of chalk. These mugs allow you to write the owners names, what they're used for and much more. 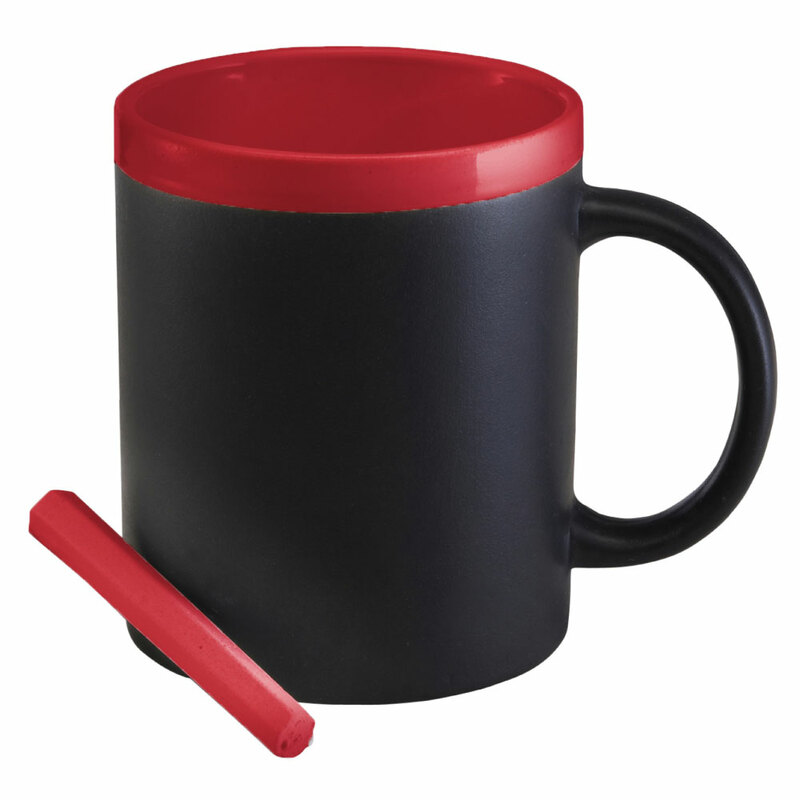 Let us know what you are going to draw or write on your mug?